Getting a job is obviously no piece of cake. However, the journey through the job search can be made easier with the AMCAT exam. 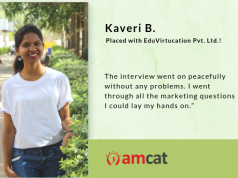 Why did you opt for the AMCAT test? “It is very difficult to find a job out of campus. When did you get your first interview call after AMCAT? How many calls did you receive? How was the interview process at the company? How did you prepare for the interview? 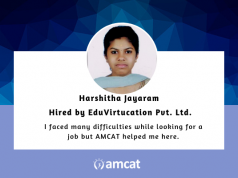 “With the help of the AMCAT exam, you can get a chance to attend the direct interview for some companies while some other companies conduct a test again. It depends completely on the companies rules and policies. Please share a few preparation tips for other job seekers so they too can bag a good job? “Your job preparation should cover all the topics. So, try to perfect your basics for the subject and make your roots stronger. That is some very sound advice and we recommend you to follow it through. 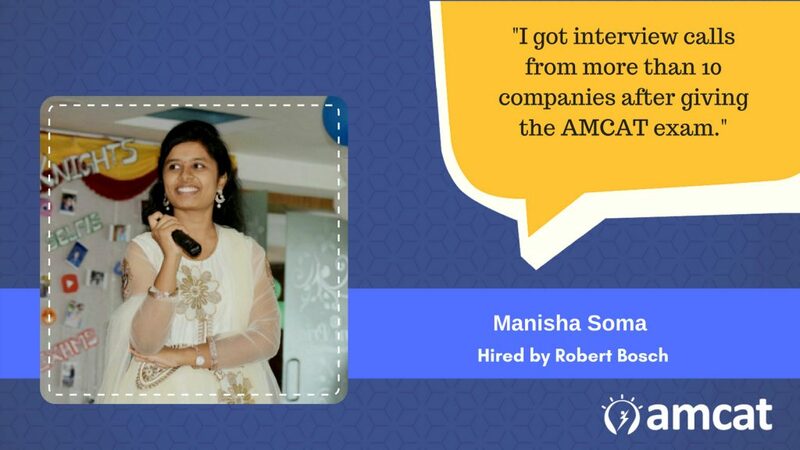 Also, we would like to congratulate Manisha on her achievement. 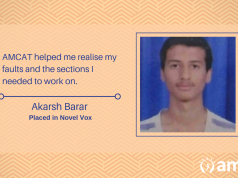 You can also bag your dream job and write your own success story by scheduling the AMCAT test today. And, remember, your hard work, determination and zeal will be the ultimate coin that will guide you to success.